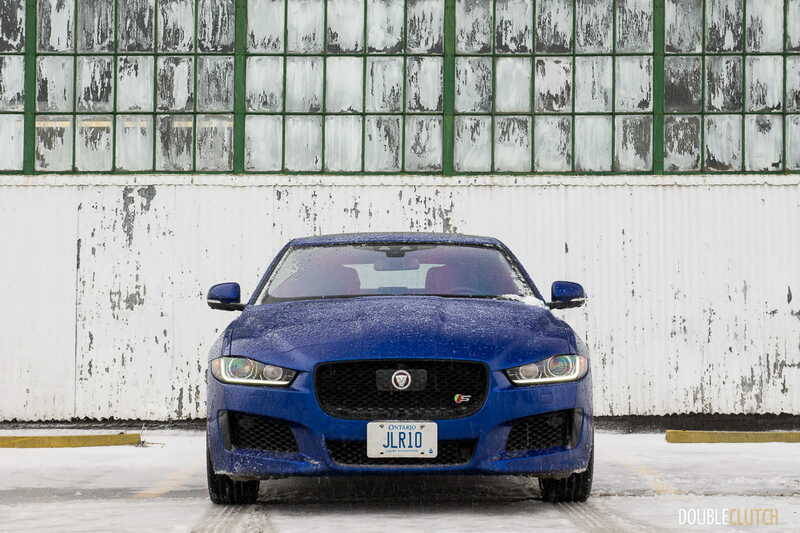 The Jaguar XE is more of a choice you make with your heart, and less with your head. It’s a path in life that many people find themselves on: you’ve recently received a nice promotion to not only recognize your hard work, but also provide a new challenge to tackle. 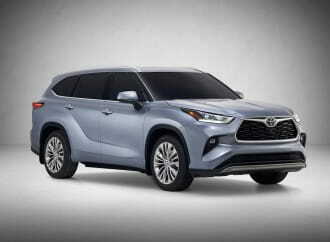 With the resulting bump in salary, some people find themselves wishing for a new luxury sport sedan to celebrate and treat one’s self. 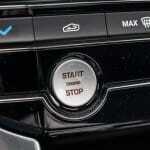 Often, the choice often defaults to the German players: BMW, Mercedes-Benz, and Audi. 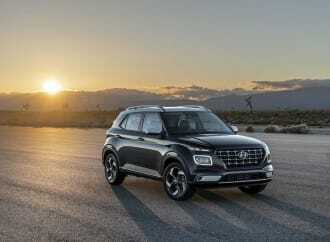 Some may have already made up their minds in terms of their German brand of choice, but those with an open mind may be interested in something that is a little different. The current world view will tell you that there are options from the USA, Japan, Sweden, and of course, the United Kingdom. 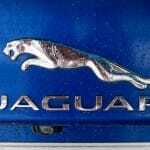 Jaguar happens to be one of those options, and with their renewed pool of resources (from the Tata Group ownership), has been seeing an exciting renewal of their product lineup. We snagged the keys to the 2018 Jaguar XE S AWD, painted in a gorgeous Caesium Blue. 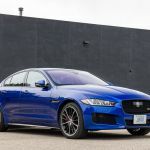 The first thing to know is that the Jaguar XE is their smallest sedan, and goes head-to-head in the “compact executive sedan” class, which consists of heavy-hitters, such as the BMW 3-Series, Mercedes-Benz C-Class, Audi A4, Lexus IS (reviewed here), and the list goes on, and on. 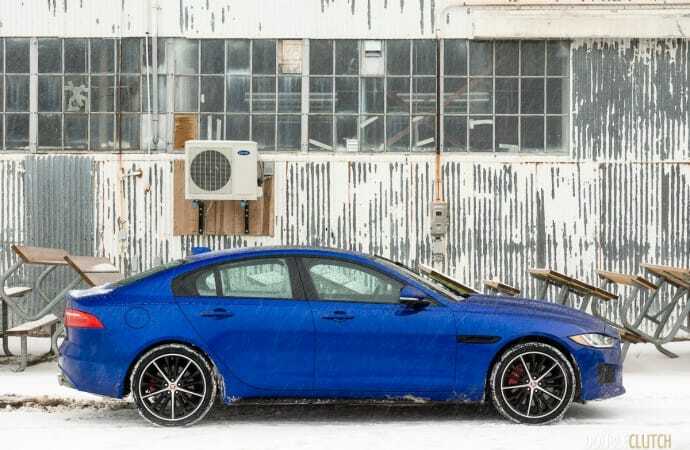 In order to stand a chance against the rest of the pack, Jaguar builds the XE from a rear-drive layout, which ensures good chassis balance and road dynamics. 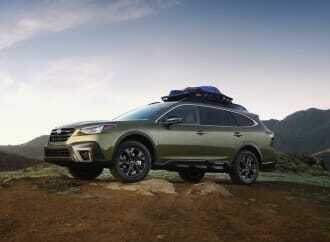 The double-wishbone front suspension configuration is also favourable, for its ability to provide an optimum balance between road-holding ability and ride quality. 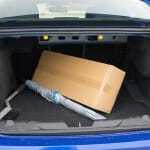 For what it’s worth, the BMW 3-Series makes do with MacPherson strut front suspension setup. As for the things you can see: the Jaguar XE is a very attractive compact sedan, styled by the legendary Ian Callum. 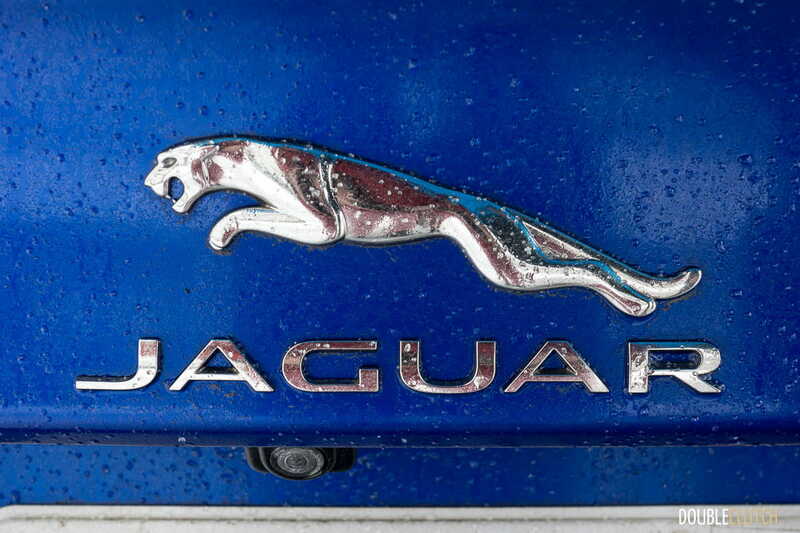 Overhangs front and rear are short, and the scowling headlights flow into an oval-shaped grille, similar to that of the F-Type (reviewed here) sports car. 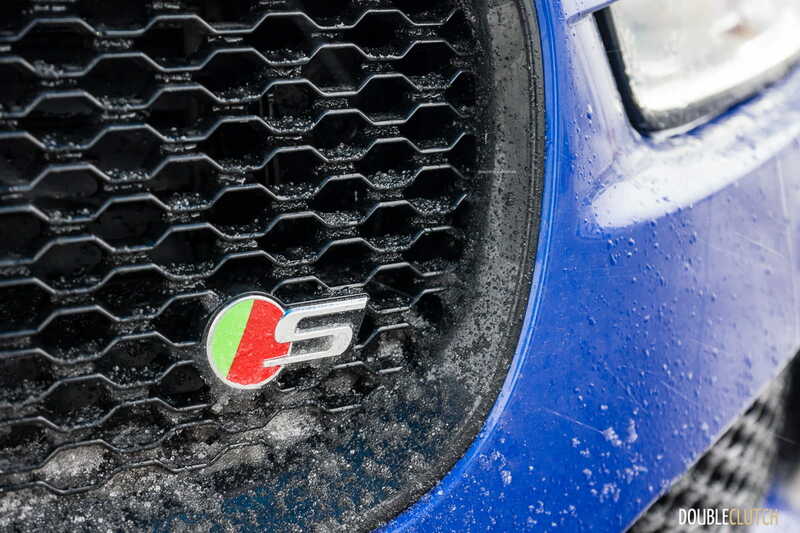 The “S” in XE S means this is the most sporting version of the bunch, with larger 18″ wheels, and more glossy blacked-out trim as opposed to the bright chrome seen on other versions of the XE. 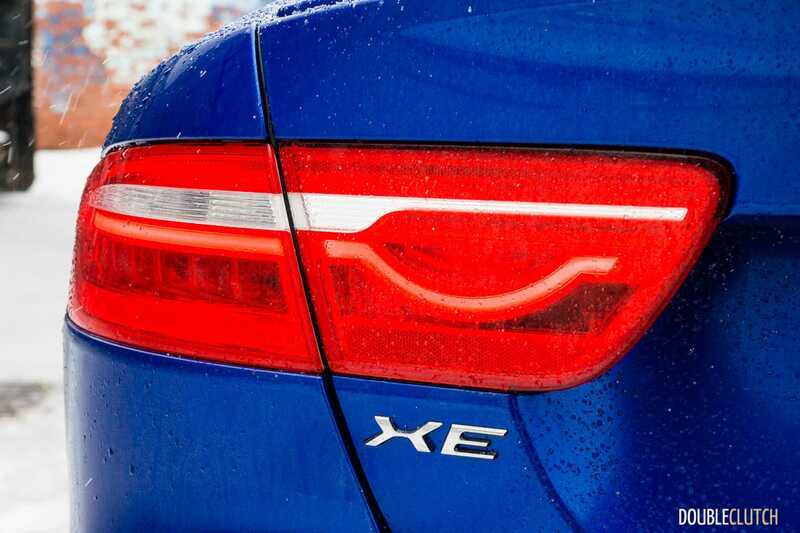 A taut roofline keeps the overall dimensions tidy – the XE is within about centimeters of the BMW 3-Series in just about every dimension. 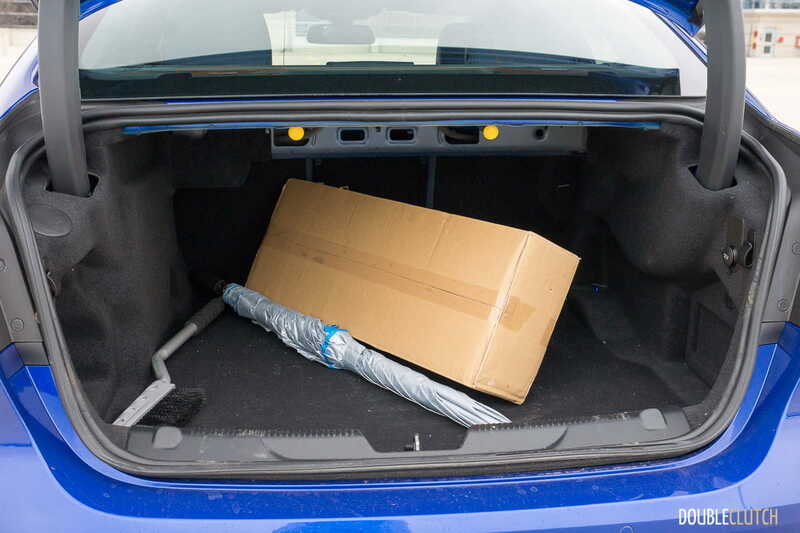 The Caesium Blue, in particular, really helps show off the clean lines of the XE, and the general public seemed to agree. 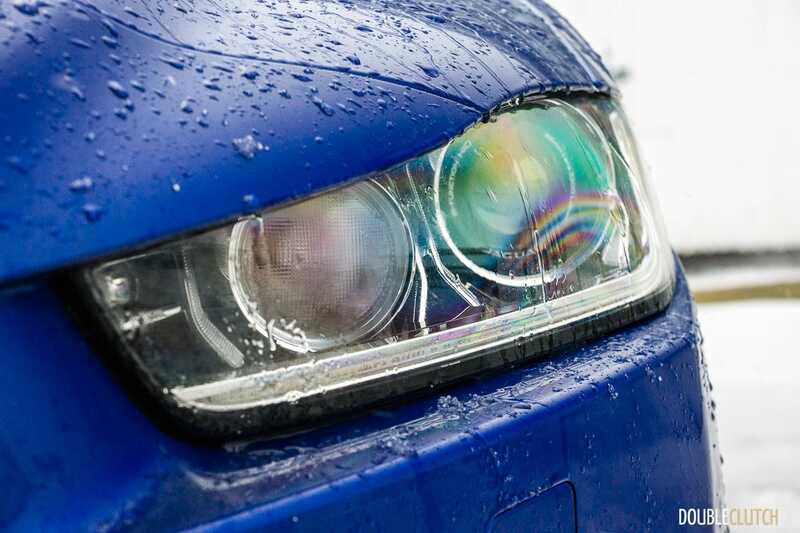 When kept clean, this XE managed to steal quite a few glances, and stand out just that little bit, in the sunlight. 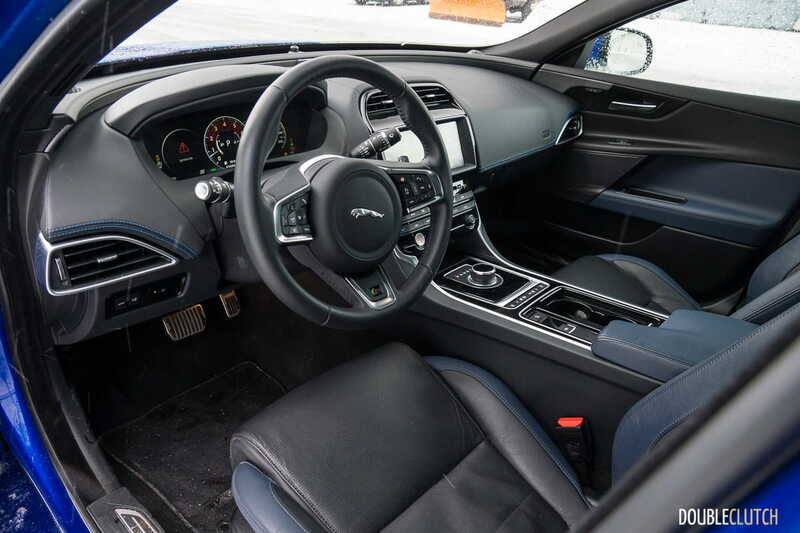 Inside, you’re treated to the usual Jaguar interior design theme we’ve become very familiar with. 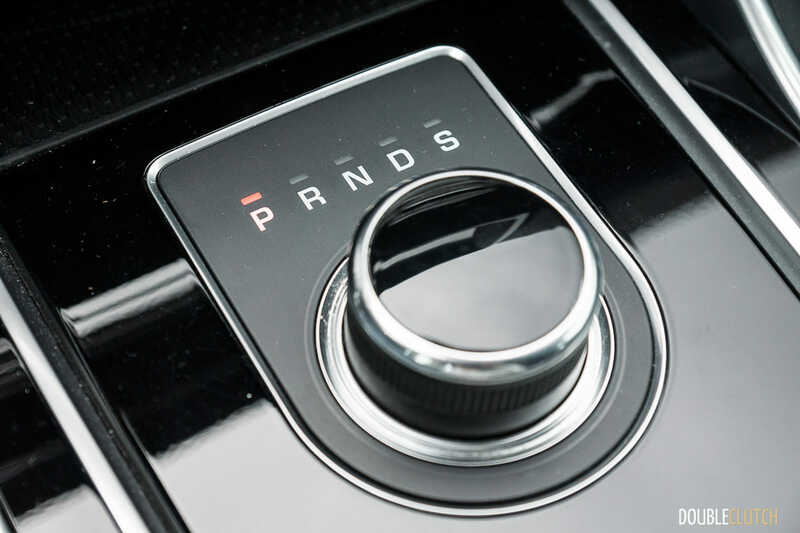 The centrepiece continues to be the rising rotary gear selector knob, and it continues to provide great first impressions today. 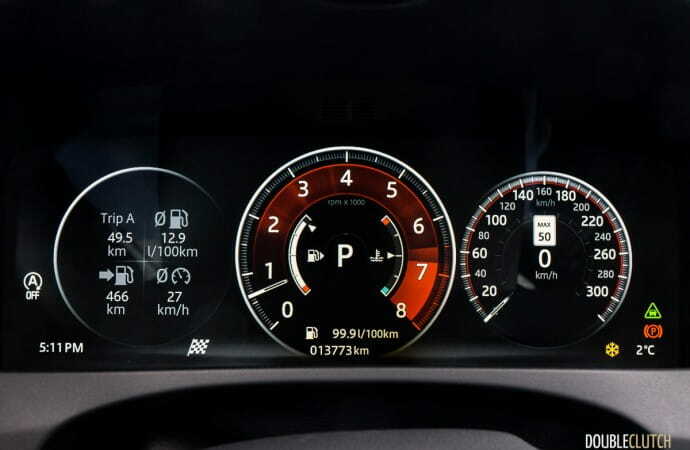 In front of the driver is a full 12.3″ configurable LCD that displays all the usual info. 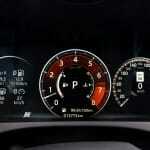 I had the XE set to the customized Sport driving mode most of the week, which puts the tachometer front and centre. 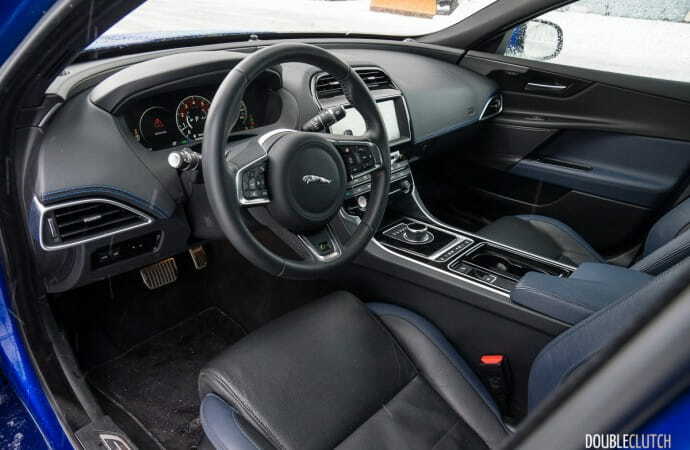 In the centre of the dashboard lives a 10.2″ screen, housing Jaguar’s InControl Touch Pro multimedia interface. 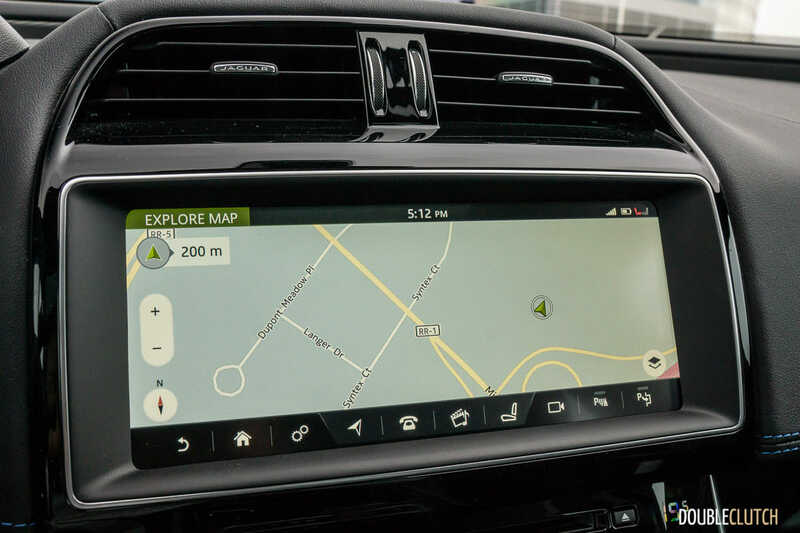 It’s a large screen, but it still omits Apple CarPlay and Android Auto integration. 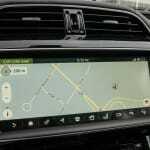 It also takes quite some time to start up when you fire up the engine, so you’ll need to exercise some patience before entering an address into the navigation system. 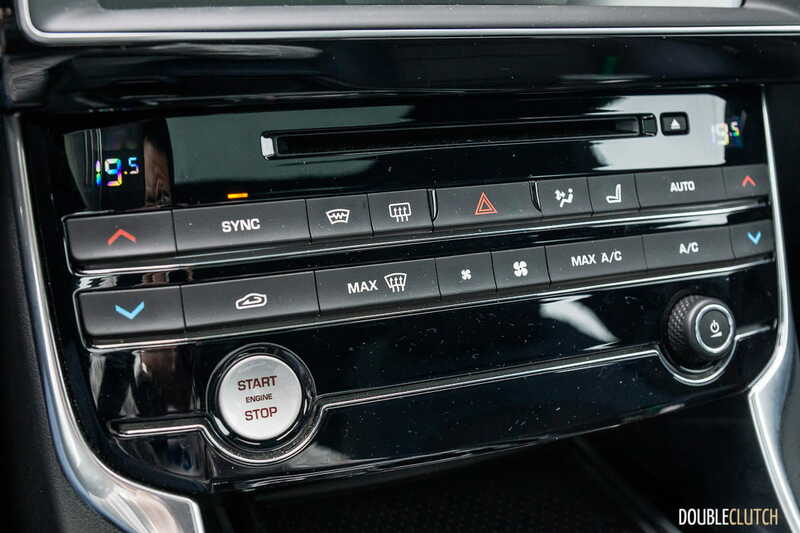 Overall, the interior electronics feel a little dated. 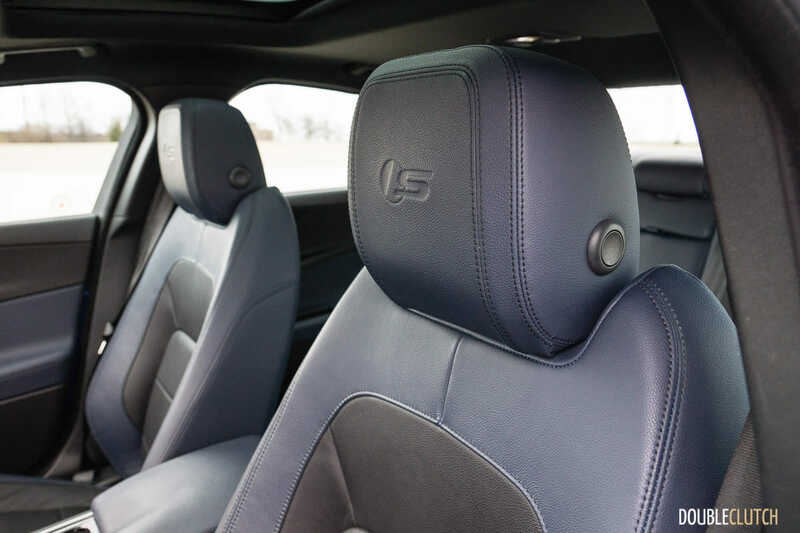 Once you settle into the power adjustable driver’s seat (with extendable thigh support), you may notice how “cozy” the interior feels. 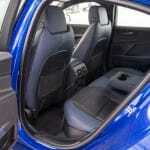 The thick door cards, along with the upper-most portion of the dashboard that wraps around the front two occupants eats into available space (width, specifically). 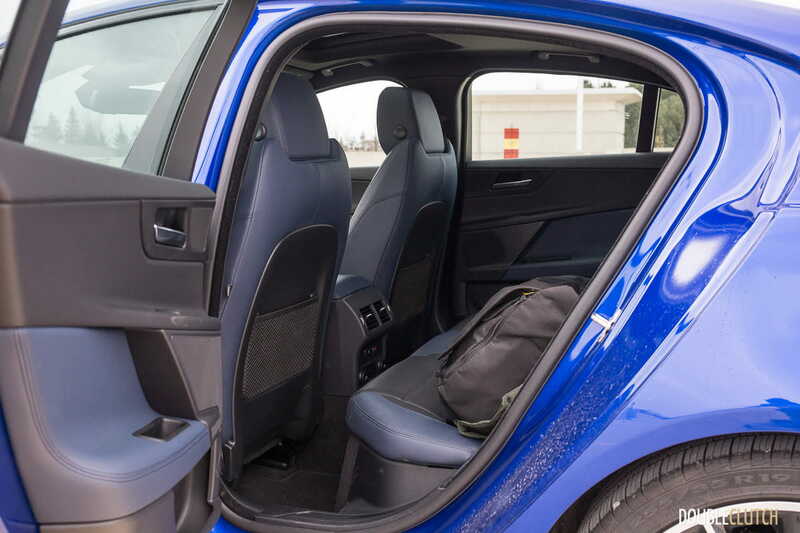 Furthermore, because the two front seats are so supportive for the front passengers, rear seat accommodation suffers, especially knee room and space for your feet. 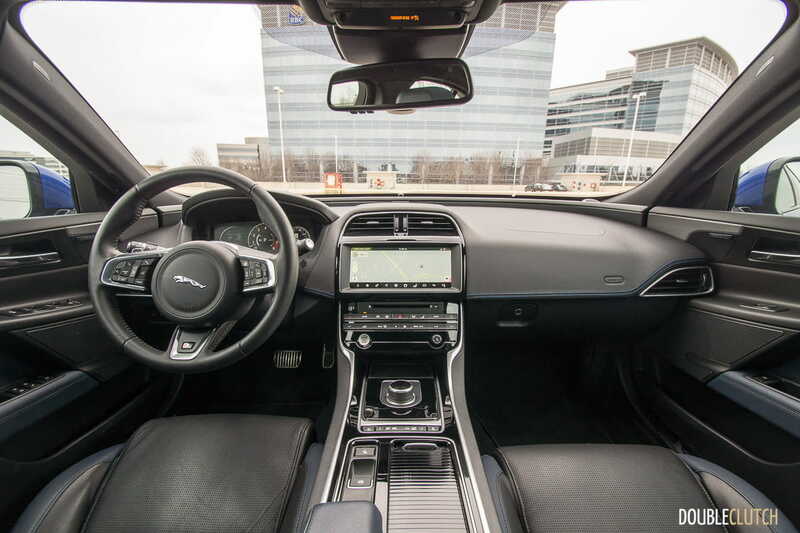 In short, the Jaguar XE is fine for the driver and passenger, and tighter than average for those who have to ride in the back. What sets the XE S apart from the rest of the XE lineup is the engine under the hood. 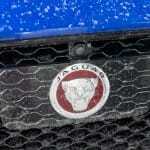 Jaguar has sought to streamline their engine offerings in the XE, making the S trim the only one to receive a V6 engine. 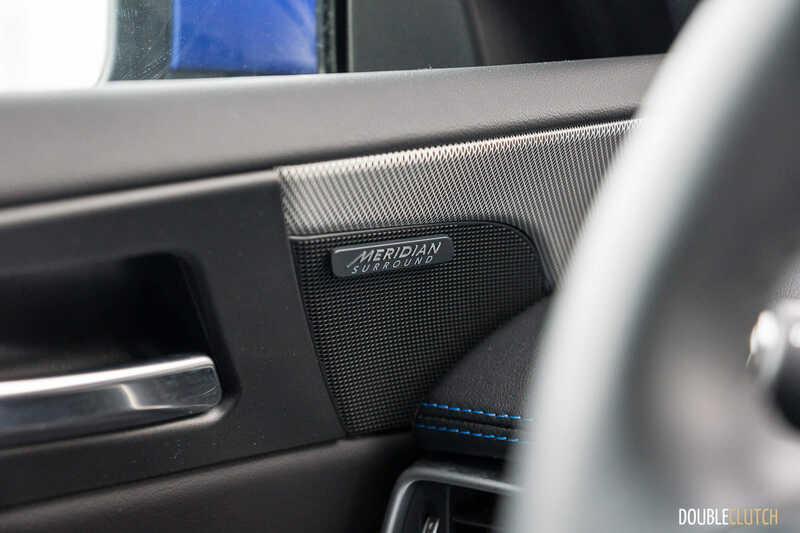 Displacing 3.0L, featuring direct gasoline injection, and built from a 90-degree V-design (compared to the usual 60-degree design), a supercharger is bolted onto the air intake to help it produce 380 horsepower at 6,500RPM and 332 lb-ft. of torque from 3,500-5,000RPM. This Roots-type supercharger allows for this V6 to produce its power without the turbo lag that most of its competitors exhibit. 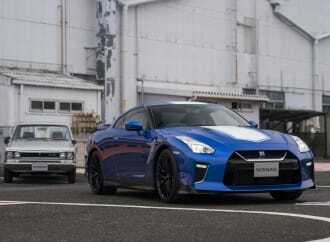 It’s always interesting to know that this V6 is essentially built from Jaguar’s 5.0L V8, minus two cylinders. It’s actually a much more complex engineering solution (the bore and stroke of the cylinders between the V6 and V8 aren’t the same), but put simply, the lineage is there. 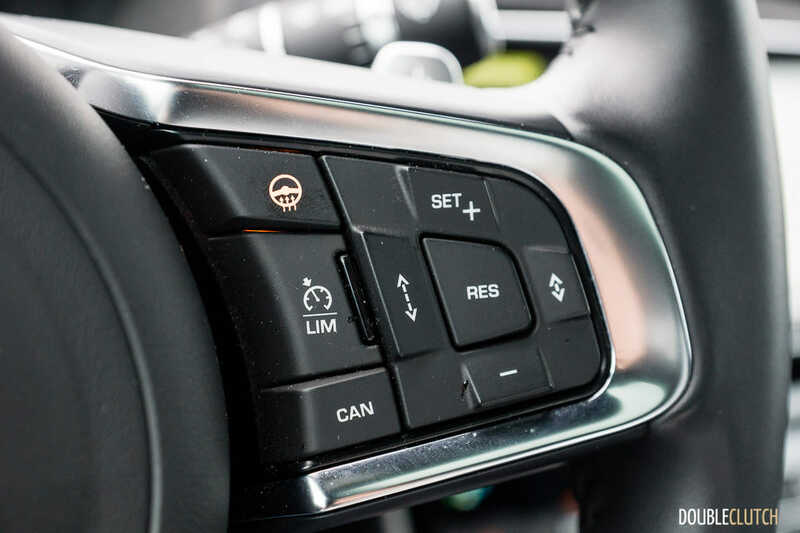 Power is routed through ZF’s excellent eight-speed automatic, and sent to all four wheels – with most of that power delivery going to the rear axle. 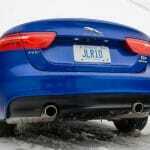 Jaguar Canada quotes the 0-100km/h run at 5.2 seconds, all the way to a limited top speed of 195km/h. 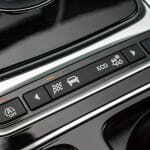 For comparison’s sake, the BMW 340i xDrive Sedan will do that same 0-100km/h run in 4.9 seconds. 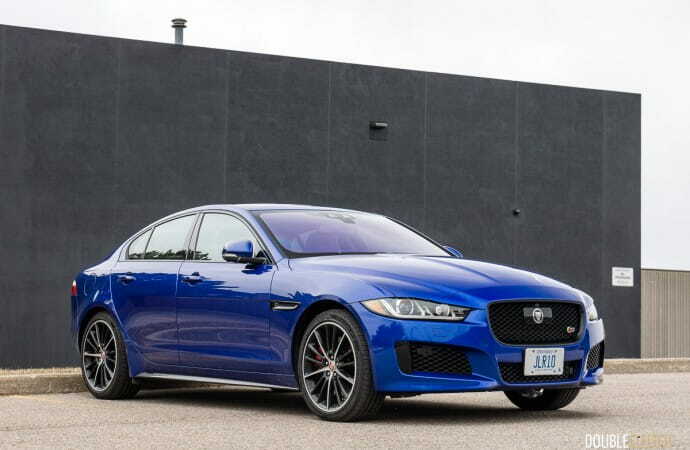 Now that the Audi S4 (reviewed here) has gone to a turbocharged powerplant, the Jaguar XE is now the only one in its class that uses supercharging to produce most of its power (Volvo’s twin-charged T6 engine utilizes both a supercharger and turbo). 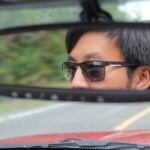 If you dip deep into the accelerator pedal, you’ll be treated to the unique “whine” of the supercharger at work. Getting into the customized Advanced Driving Dynamics section allows you to adjust parameters relating to steering weight, variable damper settings, transmission behaviour, and engine responsiveness – setting the Dampers to Dynamic yielded a ride and body control that is a touch too busy for my tastes. Overall impressions from the driver’s seat is good, but not class leading in any one area – the steering is accurate but fairly muted in feedback, brake feel is good, but you get the impression that this is a luxury car first, with a dash of sporting pretense. For most people, this is the target. 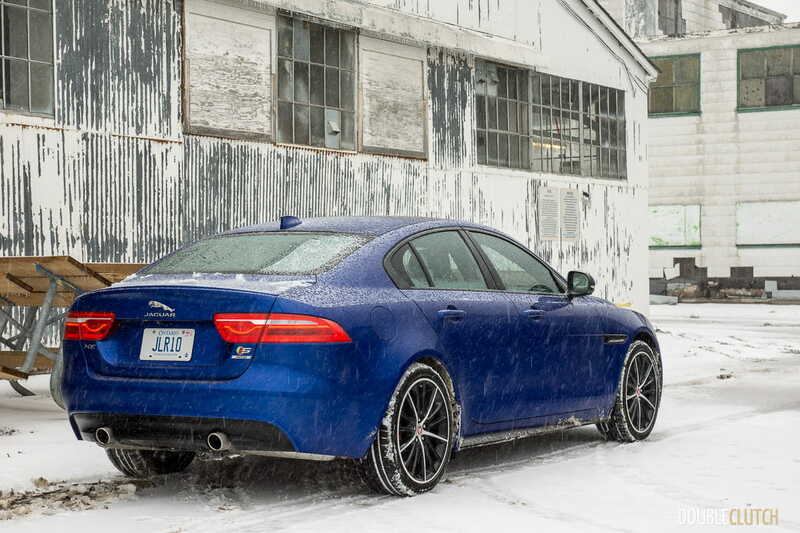 One particular item that impressed us is how the XE handled a late-April ice storm. 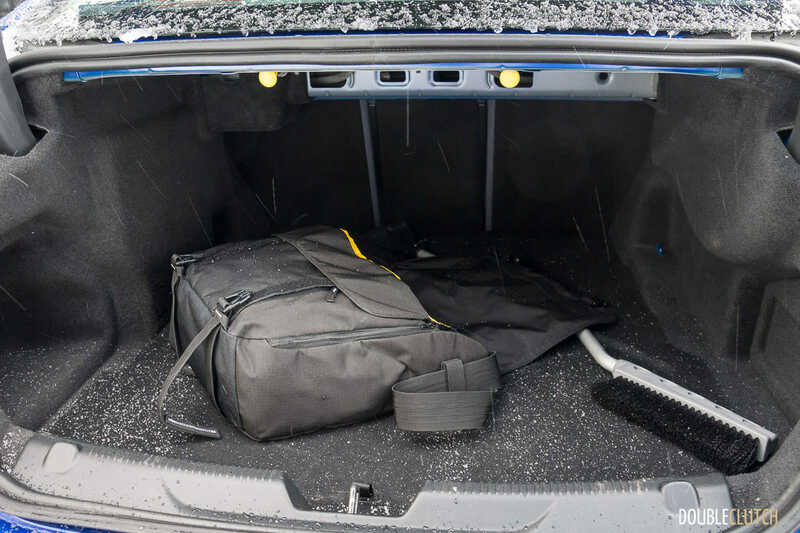 Enthusiasts alike were clamoring to get their summer tires back on, when Mother Nature decided to put a stop to all that. Immense amounts of freezing rain made for a messy mix of icy slush and snow, and generally horrible driving conditions – the photo gallery will provide some scientific evidence. 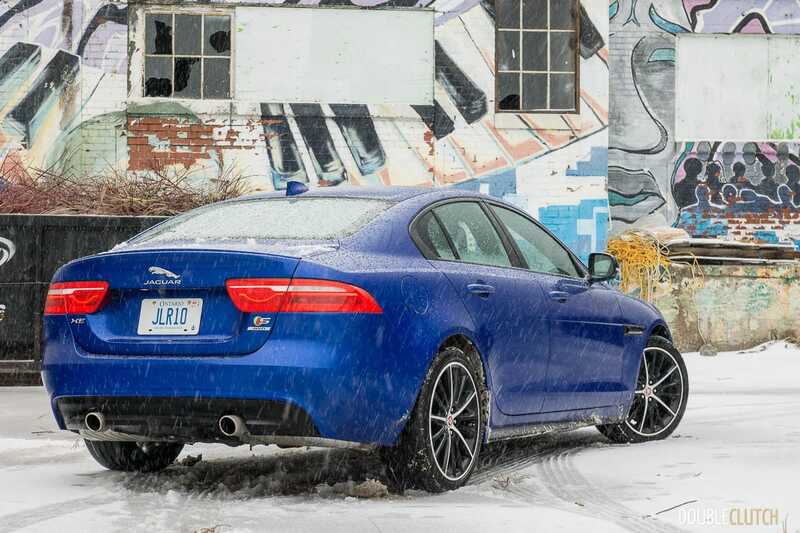 Even equipped with all-season tires (Pirelli Cinturato P7 All-Season), the XE delivered sure-footed all-wheel drive traction. 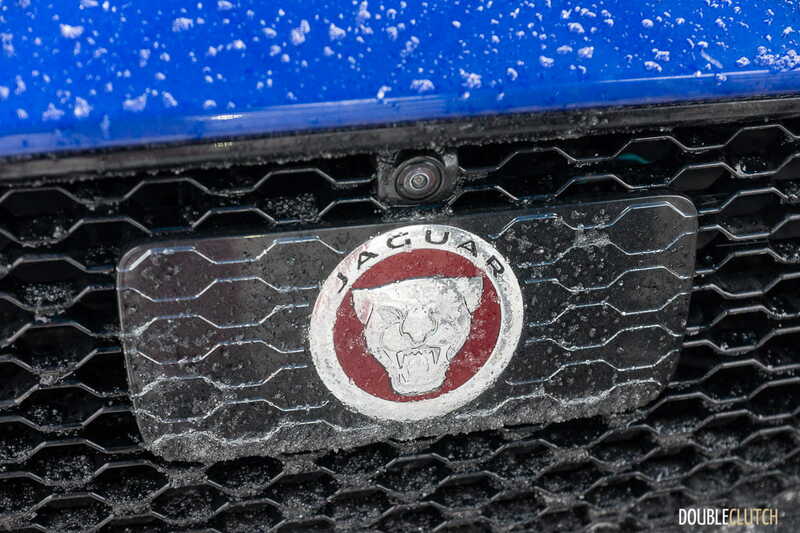 The heated windshield grid also helped keep the snowy stuff from freezing once they landed on a smooth service. 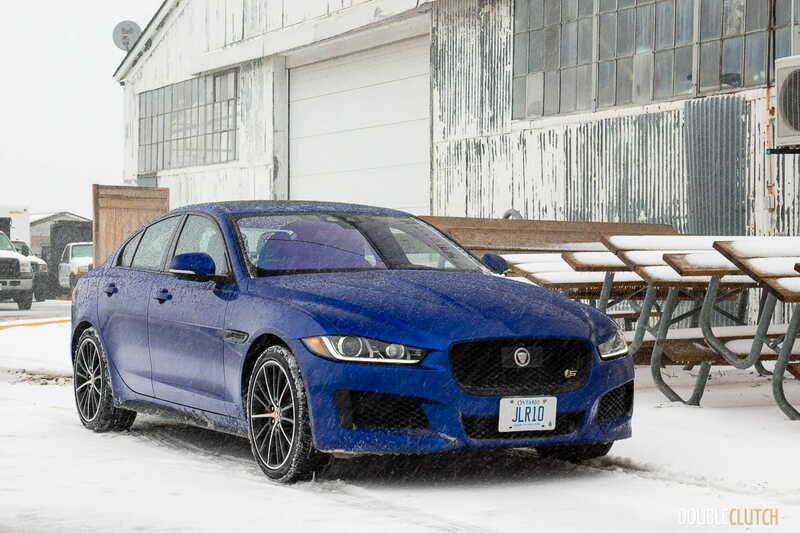 The tires were especially impressive – stopping distances in the slush were better than what I expected for an all-season tire. 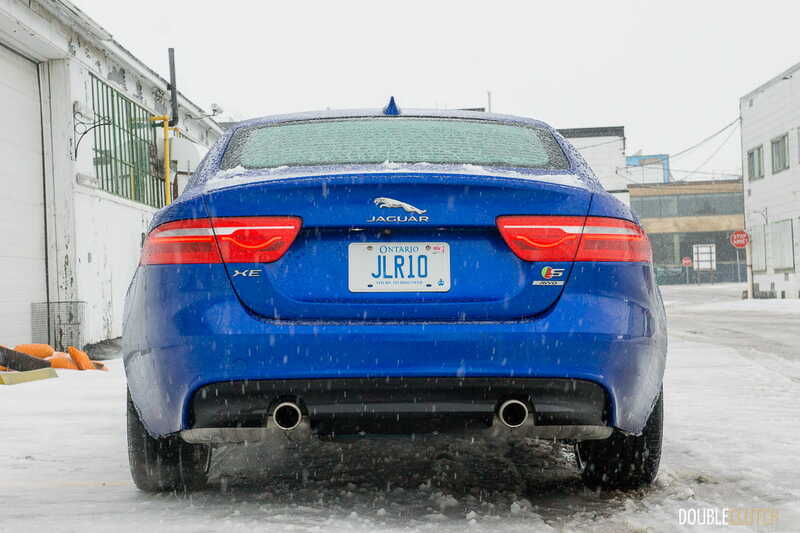 Jaguar Canada rates the XE S at 11.8L/100km in the city, 8.2L/100km on the highway, and 10.2L/100km in a combined cycle. 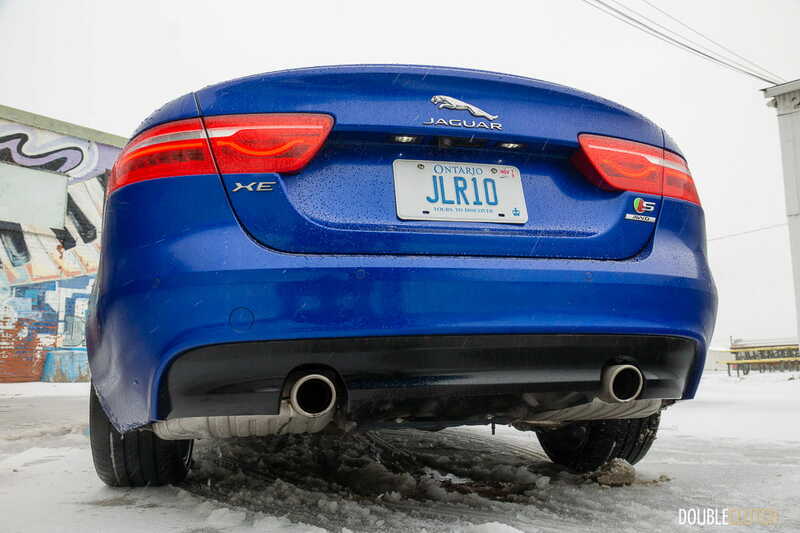 At the end of my snowy and cold week with the XE, I ended up with an indicated average of 10.5L/100km, which is very close to the combined estimate, even in these poor conditions. 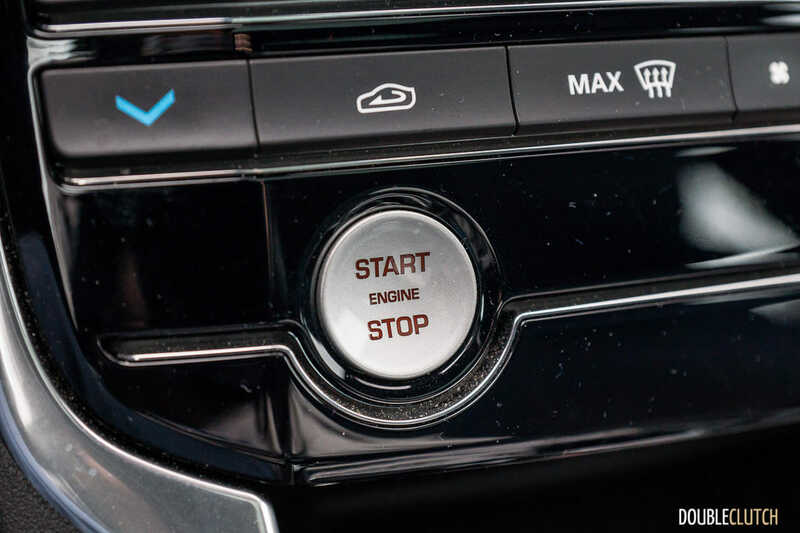 The XE features an idle start-stop system that helps improve urban consumption figures somewhat. 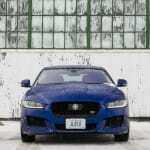 The XE will handle 63L of premium 91-octane fuel. 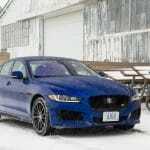 The base Jaguar XE Premium starts at $43,900, and you’ve got the option of a four-cylinder diesel engine (reviewed here), as well as two variants of the four-cylinder gasoline “Ingenium” engine. 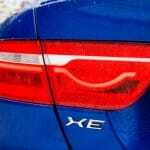 The XE S, with its V6 actually isn’t the most expensive trim level, but rather the four-cylinder XE Portfolio is. 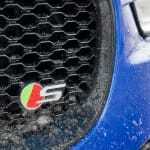 The S starts at $61,500. 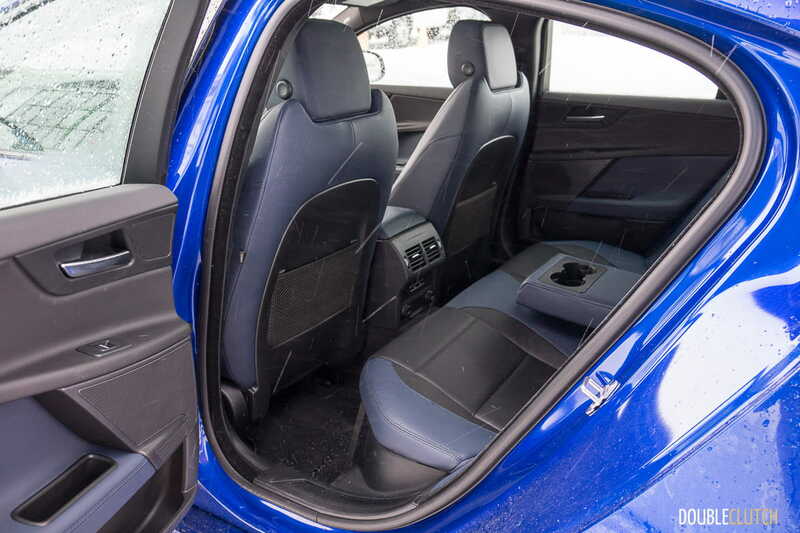 This particular XE comes painted in a gorgeous Caesium Blue ($670), and also includes the Driver Assistance Pack ($3,420), Tech Pack ($3,170), as well as the heated windshield ($410, but you won’t be able to “un-see” the grid lines). 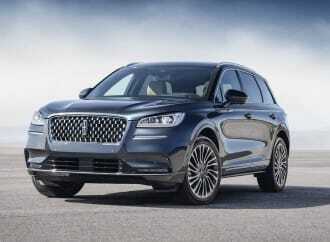 This brings the as-tested price to $69,170. The base price of the Jaguar XE S happens to be a little higher than its competitors. 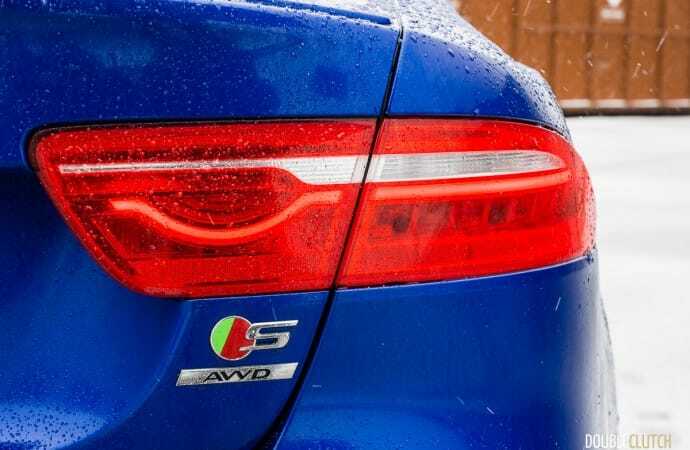 BMW’s 340i xDrive, Lexus IS350 F-Sport, Audi S4, Mercedes-AMG C 43, and even the new Genesis G70 with the 3.3L turbo V6 – all start at around $56,000. 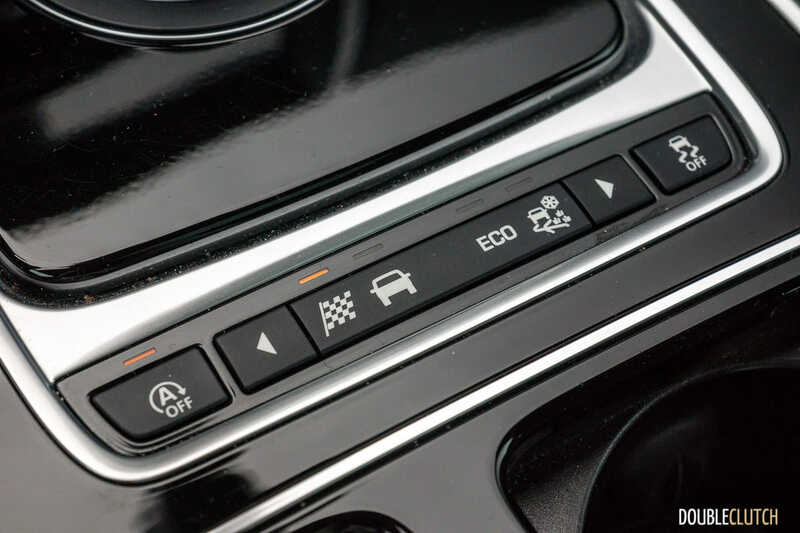 Some are already fully-loaded (like the Lexus and Genesis), and all of the German options still have options you can add to bring the price up to where the XE S sits. It’s a crowded segment, and there’s something for just about everybody. 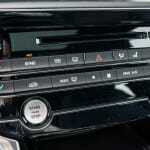 If it were up to me, though, I think I would be most attracted to the BMW 340i, with a manual transmission – because it’s one of the few options remaining if you’re looking for three pedals. 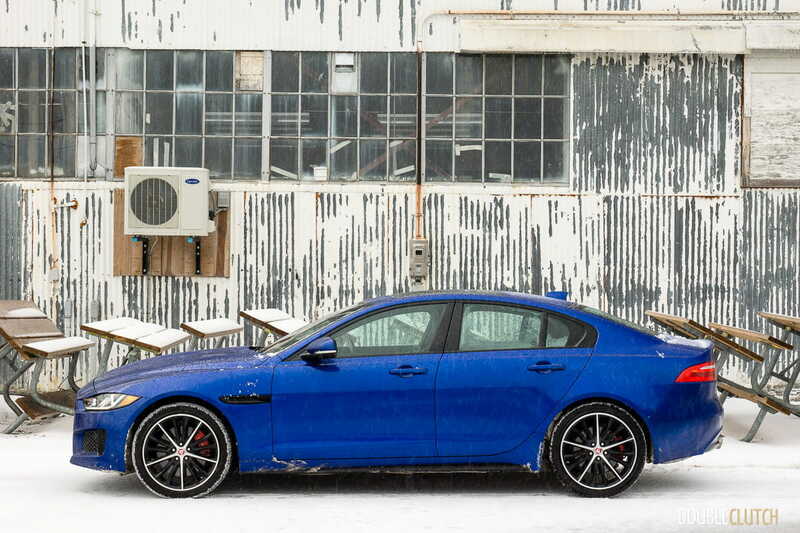 At the end of the day, what sells the Jaguar XE S is its big dose of that Ian Callum-style. 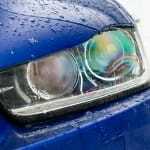 It is a distinctive car (especially in that Caesium Blue), and it is a choice that isn’t yet another white, silver, or black German sedan. 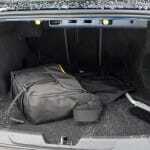 It manages to also deliver decent sporting performance and feel, in-line with the rest of its peers. 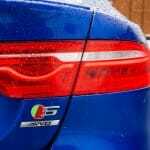 Where it differs from some of the more Teutonic German options is how the Jaguar XE is more of a choice you make with your heart, and less with your head. To some, that sort of decision is the right decision.